This dictionary contains more than 50,000 up-to-date entries and related phrases and idioms; words with irregular forms and more than 200 illustrations. Like our other Bilingual Dictionaries, this has been specially compiled for learners of English, teachers, translators and general readers. The English base of the dictionary, taken from the Oxford Student's Dictionary, has been adapted for Indian readers. Covers a wide range of scientific and technical vocabulary. Includes words relevant to the Indian subcontinent. 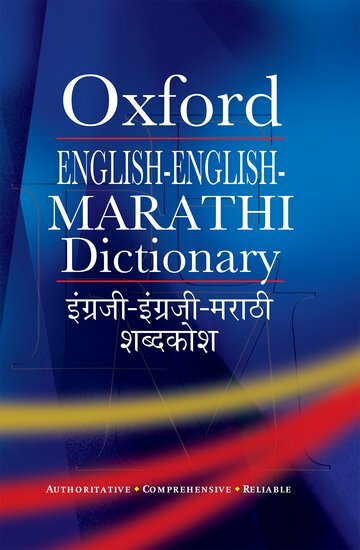 To make the dictionary more user-friendly detailed definitions and one-word equivalents in Marathi have been included for words that needed to be explained further for example, 'calorie', 'camcorder', 'microchip' and 'website'. The Marathi translation is simple and reflects the current usage of the language. A pronunciation guide using the International Phonetic Alphabet (IPA) along with their Marathi equivalents is given for help in pronunciation. A separate section on Quick Grammar Reference has been added to the appendix for advanced learners of English.